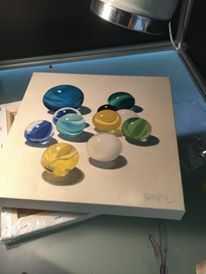 Eat Drink Paint • Kim Rempel: New Work for "A Square Affair"
New Work for "A Square Affair"
Fresh off the easel! This will be one of my paintings at A Square Affair Art Exhibition and Sale, Friday, September 16, 7-9pm (alongside The Handmade Market). 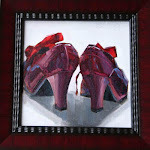 All paintings are 12"x12" and will sell for $195+HST. 13th Street Winery, St. Catharines.